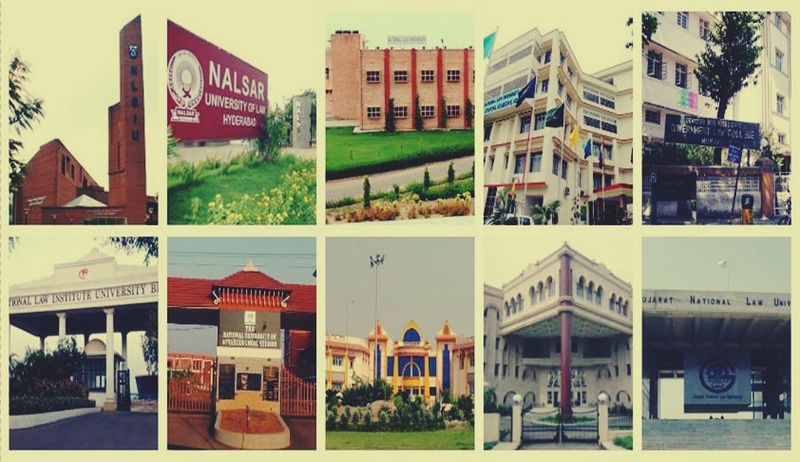 A cluster of universities established by respective state/provincial legislatures in India prefer adding the prefix ‘national’, ultimately making them national law universities also popularly known as NLUs. Often, such a nomenclature gets associated with the overall quality of an institution. For stakeholders, primarily budding lawyers and aspiring law students, one of the most common concerns is whether receiving education from a university or a college outside the NLU cluster would help achieve one’s professional dreams? Accordingly, it becomes important to examine if there is a substantial difference in the quality and administration of legal education among various institutions across the country. Firstly, in general, physical infrastructure including library facilities at NLUs seem to be in a better position as compared to other institutions providing legal education. Also, barring exceptions, the teaching staff is better qualified at NLUs (avoiding discussions posing doubts regarding quality research contributions/output of such universities). However, when it comes to the ‘rankings’ attached to NLUs, it is only the preferences of applicants who appear for entrance exams like the Common Law Admission Test that drives the informal rankings we refer to in various magazines and newspapers. Further, a co-relation between the choice made by the applicants and the year of establishment of a particular NLU is quite evident. The same set of concerns has also been identified in the study commissioned by the Department of Justice (Ministry of Law and Justice) to study evidence-based proposals for reforming legal education in India. Though it is surprising to see a study focusing on reforms related to the legal education limited only to NLUs, the brighter side remains the identification of pertinent factors like ‘perception-based rankings’ influencing the decision-making. Further, it is not unusual, especially for budding lawyers in India to experience a sense of inferiority. It is further promoted by the treatment received from established practitioners in the profession. From the author’s personal experience, a statement like “Sir only accepts internship applications from NLUs” is sufficient to create a sense of inferiority among budding lawyers, right from the beginning. Put differently, considering issues like informal rankings, frequent instances of student-management confrontations, and a poor record in conducting CLAT examinations, it becomes difficult to understand how exactly there can be claims about NLUs being substantially ahead of other educational institutions in terms of quality of education. Also, domicile-based reservations, especially in situations where there is more than one NLU in a particular state (Maharashtra currently has 3 NLUs- Aurangabad, Mumbai and Nagpur), affect the national character of such universities, if any. One of the ways to make legal education in India meaningful is by strengthening the research capabilities of institutions providing legal education. Each institution can develop a specific research capability that will be almost the hallmark of the concerned institution, in terms of academics. Such specialized research capabilities may further be utilized for more proactive roles in law and policymaking by providing research, drafting and maybe consultancy services to various government agencies (including ministries) at both, union and state levels. Moreover, from a financial perspective, such initiatives may also substantially reduce the costs related to international legal proceedings to which India is a party. Currently, especially in the context of investor-state disputes arising out of various international investment agreements (IIAs), India is seeking consultancy and legal representation services majorly from foreign law firms and is paying a substantially large amount of money (considering the exchange rates and hourly policy of law firms). The costs can be reduced if consultancy and to some extent legal drafting in proceedings involving governments and/or its agencies are taken over by specialized research capabilities across academic institutions in India. Making efficient use of the domestic legal work-force through unconventional ideas will eventually help improve the overall quality of legal services in the country. The yardstick to measure one’s intelligence must be revisited, especially in the digital era where most of the relevant information is on our fingertips (with smartphones and other devices facilitating access to information). Rather than focusing on ‘memory power’, attempts must be made to hone analytical skills. With the introduction of artificial intelligence (AI) in the legal industry, traditional understandings of ‘knowledge’ and ‘smartness’ are constantly being challenged. Educational institutions must provide maximum liberty (subject to governmental regulations and policies) to their teaching staff to assess the ability of students, that may or may not include written exams with lengthy question papers. While it is not uncommon to see lawyers from outside the NLU cluster contributing meaningfully with their respective specializations in India and abroad, it would be impractical to ignore the bias that exists, in general and in the profession. Facilitating an environment where each institution is ‘unique’ and ‘reputed’ would enable young minds to realize their true potential and to focus on more constructive things rather than being less productive/enthusiastic during primitive years of their higher education. To conclude on a motivating note, technology (including both, subscription-based and freely accessible resources) is bridging the gap between NLU and Non-NLU institutions, from the physical infrastructure perspective. Moreover, according to the National Institutional Ranking Framework (NIRF), an initiative by the Ministry of Human Resource Development, the list of top 10 law schools includes 4 educational institutions from outside the NLU cluster. Thus, budding lawyers and aspiring law students can be assured that in future, ‘competence’ rather than ‘perception’ would be the decisive factor behind one’s professional success. Somesh Dutta is an international dispute settlement lawyer. He is currently working with the public international law and international arbitration practice of a leading international law firm in Paris.